The one aim of the game is to not die and keep moving. This is a pretty compelling goal and you score points for every obstacle you fly through. When I started I was delighted to get past 3-4. 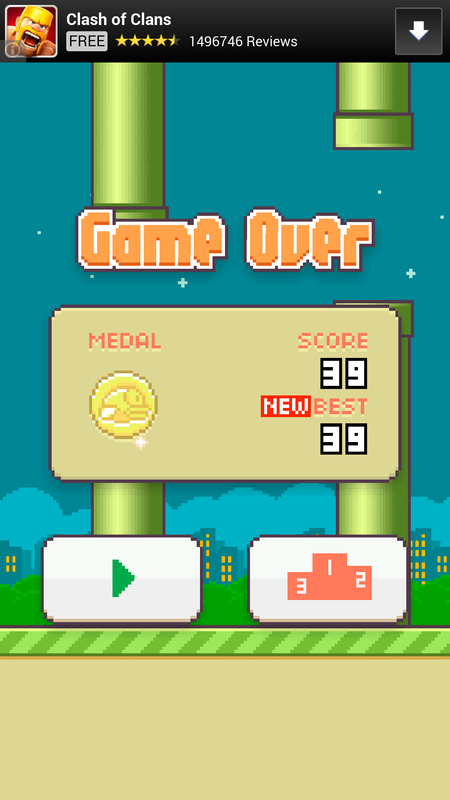 Now I’m chasing progressively higher scores and slightly disgusted when I don’t hit double figures. I need to be pushing on and increasing my High score Lesson: we value progress, what looked big to us yesterday looks small to us today. As soon as I hit what I thought was a reasonably high score I checked online to see what other people were scoring Lesson: our sense of progress and achievement is normally grounded in how we have done relative to others.